Review key basic scientific brewing principles. Progress from basic knowledge of microbiology and fermentation, to acquiring understanding of the main chemical processes involved in brewing science.A thorough review of the key ingredients involved in brewing science, and students learn the principles of sanitation and developing sanitation plans. Learn and identify key organic chemistry concepts, compounds and molecules related to brewing. Acquire fundamental knowledge of brewing microbiology and fermentation. Identify key chemical properties of the ingredients utilized in the beer making process. 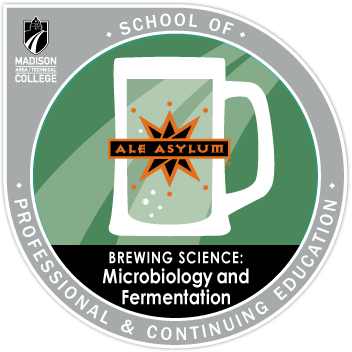 Demonstrate an understanding of brewing enzymes and chemical processes involved in the beer making process. Learn how to develop a quality sanitation plan and put procedures in place for monitoring brewing operations. Receive 70% or better of total points available.